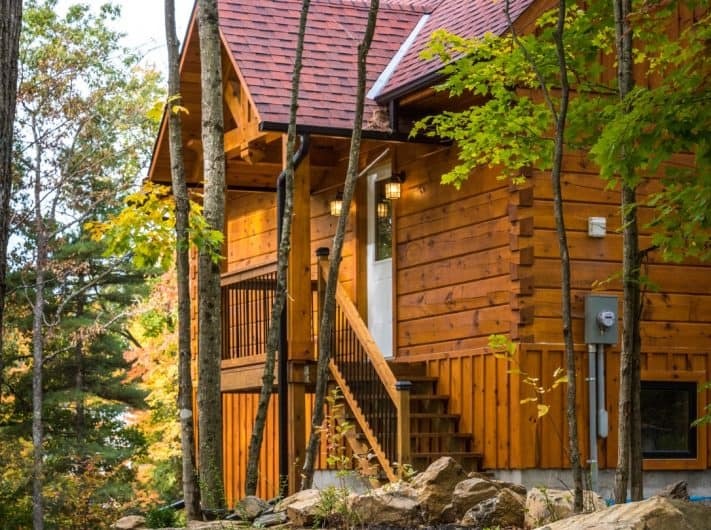 One homeowner returns to his roots by building an affordable log home – and making a few friends along the way. 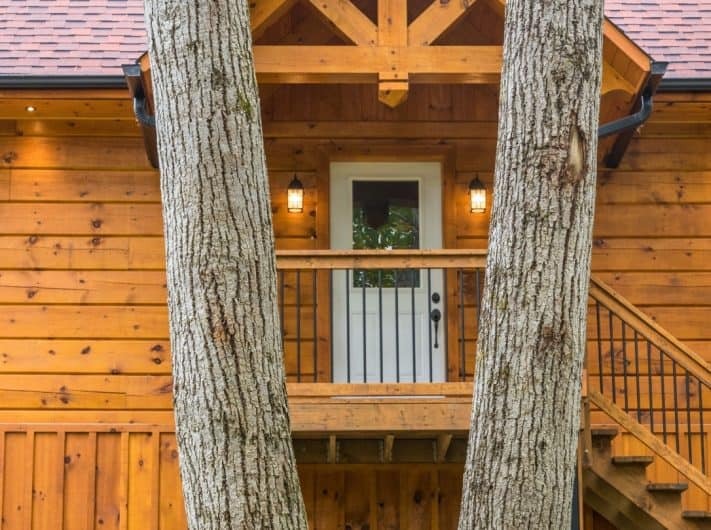 Once you’ve lived in a log home — surrounded by the earthy, natural beauty and warmth of the wood — nothing else ever quite measures up. Ask Jon Strang. He knows that better than anyone. 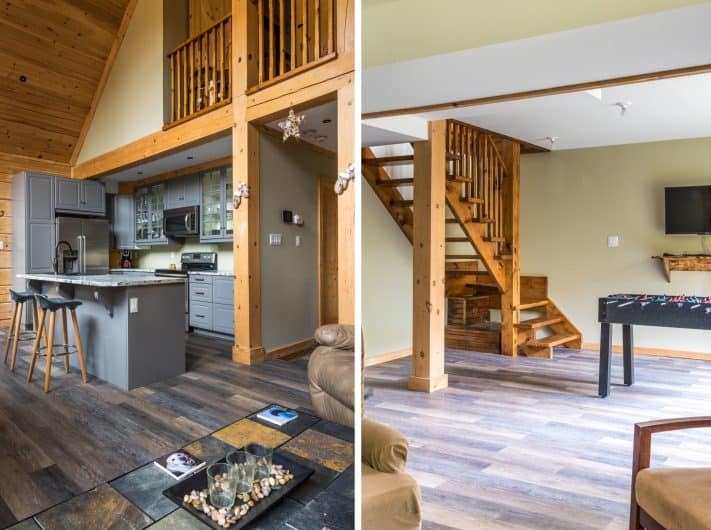 After growing up in a traditional log house, he moved out on his own, starting in an apartment then relocating to a traditional house. “But it just never felt right,” he explains. When he came across a deal on a piece of land that was too good to pass up, he knew it was his chance to return to his roots. He reached out to us to bring his dream of a log home to life. 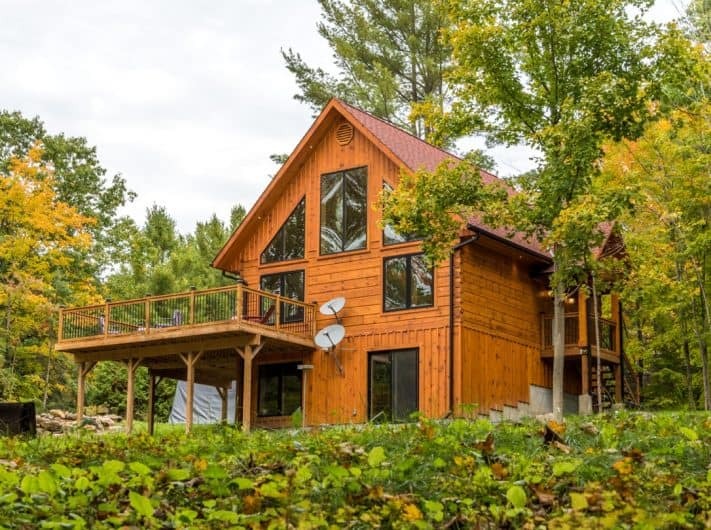 He hoped for a chalet-style log home with a master bedroom loft overlooking the first floor and needed to build up rather than out due to the restrictions of the steep lot. 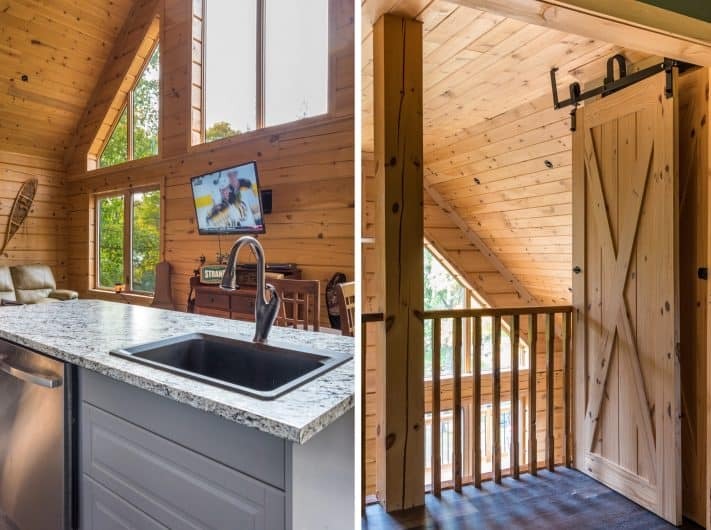 He teamed up with Brad Stuart, one of our log and timber frame consultants, and with a few changes found floor plan perfection. 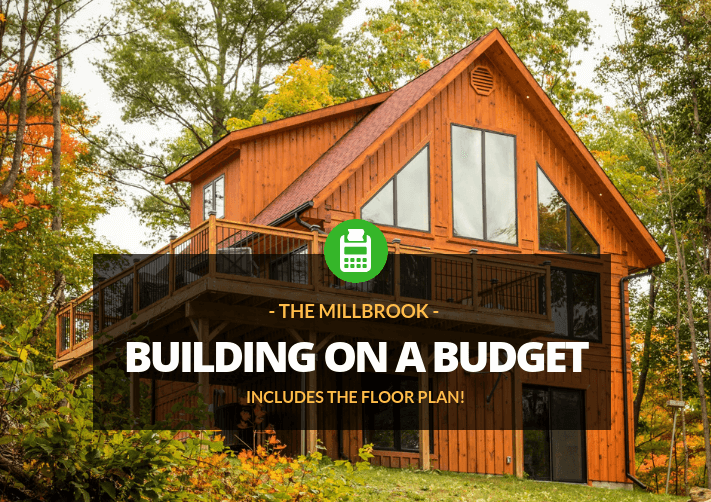 The compact footprint of the house rings in at just under 800 square feet on the main floor, but the space lives large by going up, not out, with the addition of a full 800-square-foot basement and the loft space, which adds an additional 300 square feet of living space. He also chose affordable finishes and appliances that “still look like a million dollars,” including durable laminate flooring that mimics the look of hardwoods and appliances from Ikea. “You can finish off a house very reasonably if you do it the right way,” he says. Now, with the building behind him — “The house is almost two years old but still looks brand new,” he says – coming home after working as a firefighter or helping at his family’s local grocery store is his favorite part of the day.